Whether you’re an experienced paramedic looking for a fresh challenge, currently studying and considering where to begin your career, or simply want to feel you’re making a difference with your skills and experience every day you come to work, use this site to discover the wide variety of clinical and non-clinical roles we are recruiting for today. Here are the stories of our young staff members together with a section on working with us, plus application form and interview tips and much more. 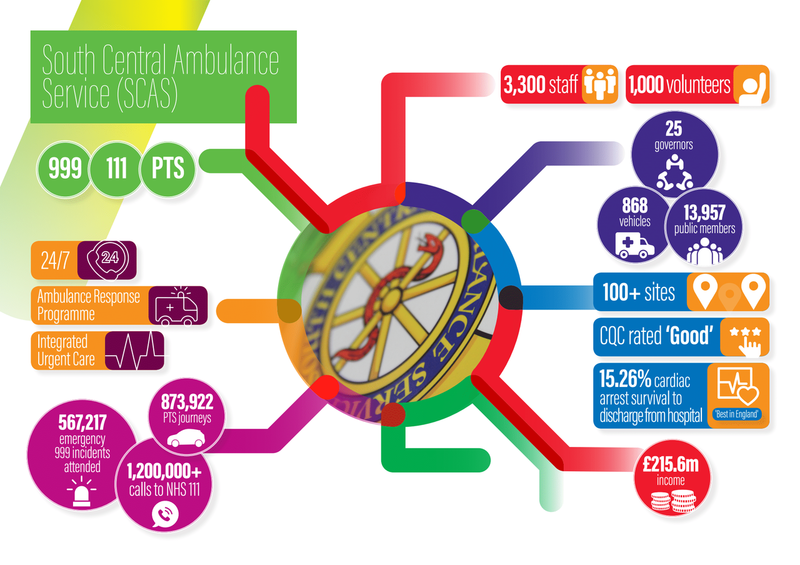 South Central Ambulance Service NHS Foundation Trust (or SCAS for short) is part of the NHS and is an award winning Ambulance Foundation Trust which delivers excellent patient care year-on-year. We serve the counties of Berkshire, Buckinghamshire, Hampshire and Oxfordshire, and Sussex and Surrey for NEPTS. This area has a residential population of over 7 million. The following sections are intended as a guide for students to getting ready to step into the world of work. For some, but not all jobs at SCAS you will have to complete a course at university or college to equip you with the knowledge and skills you’ll need. Whether you’re planning to apply for a place on a course or for an actual job the following segments give you some very useful tips about what SCAS (and universities or colleges) usually look for in applications. Find out more at www.scasjobs.co.uk. The single best thing you can do to prepare for a career at SCAS/NHS is to get some work experience or do voluntary work in an area of health and social care. It will show you whether you’d like to work in this sector. It will also be something that employers and universities will be looking for when you apply for a course or a job. Check out our section on getting involved with us. If you apply for a job with us you will need to complete an online application via the NHS Jobs website. It is also vital that you think hard about why you are keen to follow a particular career and be creative in making the link between this and your own life experience so far. take the chance to ask any questions that you have for them. Get all the information you can on the career or careers you’re considering, and find out which universities or colleges offer the courses that lead in this direction. Universities and colleges may have different criteria for the exam grades and subjects that they look for from would-be students. With regard to paramedic science, we work in partnership with Oxford Brookes and Portsmouth universities. 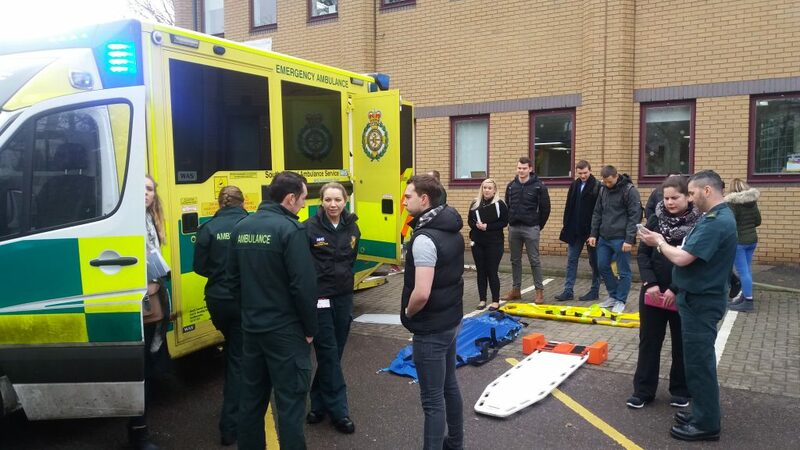 For more info go to https://www.brookes.ac.uk/courses/undergraduate/paramedic-science/ and https://www.port.ac.uk/study/courses/bsc-hons-paramedic-science. Read ACAs Lloyd, Katie and Phoenix’s real life stories below. My journey to becoming an ACA for SCAS started when I left University, was unemployed and had no idea what I wanted to do. A friend of mine suggested working in the ambulance service and the thought stuck in my head. I have enjoyed volunteering for the Red Cross, and love to drive. I went to the SCAS open day in January 2017 and found out that Ambulance Care Assistant was a job role that I felt I had the qualities to succeed and flourish in, as well as giving me the opportunity to progress into roles such as an Emergency Care Assistant and, eventually, Paramedic. I applied for the job, and soon enough was invited for an interview and was fortunate enough to be offered the job. Throughout the process of Open day, interview, training and in the job the people surrounding me have been nothing short of warm, welcoming, and fantastic to work with. What I have found challenging about being an ACA is that each day you can be faced with different scenarios or problems that need solving. It is important to keep training, policies and procedures in mind whilst being proactive – being composed with staff, caring with patients or efficient with time. At the end of the day when you are putting patients first and making sure they are safe and looked after, then it really is a rewarding job. It is this rewarding feeling, the comradery with colleagues and friends and, more selfishly, my enjoyment of driving and being able to visit many different places across the area that SCAS operates that makes ACA a great job to have. By working in PTS I have become a more confident and conversational person. My understanding of the road infrastructure in towns and cities around Oxfordshire have improved massively (which is a definite positive considering the endless road works and traffic we have! ), and I have found that working with colleagues from many different backgrounds, from different cultures and at vastly different stages of their career is such an interesting and positive experience. My aspirations within the ambulance service will remain a long-term goal of working in an emergency capacity, but in my relatively short time in PTS I have thoroughly enjoyed myself and with opportunities to Oxygen trained within the ACA role, I am not in as much of a hurry as I was before I joined SCAS. I was unsure what path I wanted to take career-wise. I have always been told that I have a caring, empathic nature so finding a job that required these skills seemed to be the most obvious way forward. A family friend suggested I look into the non emergency ambulance service and I have never looked back! No two days are ever the same. I enjoy meeting the patients and trying to make their experience in and out of the hospital as pleasant and comfortable as possible. The service covers a wide area and you never know where you might be on any given day. The rotas also mean that you are working with a number of different colleagues as well as working by yourself. All this variety means you will never have a dull day! That said, it is not always stress free. Trying to meet the deadlines for collecting/dropping off patients is not always easy and if the patient is particularly unwell, this can be emotionally upsetting. I have been with SCAS for 14 months now and in that time, I have gained a promotion by becoming an “oxygen trained” member of the team. There are many different ways you can progress within the service but for now, I am more than happy where I am. Overall, being a member of the Patient Transport Team is brilliant and I am truly thankful to the friend that suggested it as an option! Katie, 21 yrs old. 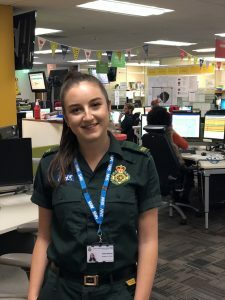 Hello, my name is Phoenix, I’m 25 and I’ve been an ACA based at Reading for two years working on the renal transport team, having previously worked in retail and warehousing. In 2012 I graduated from Newbury College with a level 3 BTEC extended diploma in Health and social care but was still unsure of what exactly I wanted to do. I took on full time hours at the part time job I had been working and began to look at the NHS jobs website for inspiration. I also set up an email alert on the NHS jobs website to get new job adverts from SCAS as I had considered applying to be an ECA (Emergency Care Assistant). Whilst working to gain my C1 driving entitlement I saw an advert for the non emergency patient transport role at Reading. This was something which I did not know existed and I thought the role looked very interesting so I decided to apply. I filled out the online application form, making sure I demonstrated how I met the required and desired skills and knowledge that they were looking for. Once I had been offered the job I had to complete and pass a 3 week training course. I then I started at Reading and shadowed an experienced crew for around two weeks before starting to work on my own as part of the renal dialysis transport team. I particularly enjoy this role because we get to know our regular patients and they get to know us, which helps them to feel more comfortable during their journeys. We also get to meet new patients and it is always nice to hear about their lives and hear their stories, for some patients we could be the first people they have spoken to that day or even that week, so it is nice to be able to make a difference to their day and make the experience of having to go to hospital that little bit nicer. Our work is planned for us each day and is on the PDA at the start of the shift so generally we follow the work we are given but sometimes extra work is added or jobs are changed and it is important to make sure the work is manageable and that all of our patients will be picked up and dropped off in time so this is where we have to plan our own day and journeys appropriately and inform dispatch of any foreseeable problems or delays. Every day is different and as we can see a variety of places and hospitals during each day, the view from the window is always changing! This role has taught me numerous new skills and I have developed a lot, personally and professionally during the last two years and have been able to apply and interview to move from a band two position to a band three position meaning I am now trained in property risk assessments and oxygen administration where the patient has a prescription for it for such as COPD patients on low levels of oxygen. The role can be quite challenging. Particularly in the beginning I found getting used to the shift pattern quite difficult as I had not worked shift work before, and this was combined with my commute increasing from 10 minutes to 45 minutes each way. Learning to manage your time effectively is an important skill and again can be a bit difficult to begin with but you soon learn how long certain aspects of the job take and how much work you can fit into your day. This role is a great starting point for anyone looking for a career in the ambulance service, you gain experience of dealing with a large variety of people, with different needs and abilities, in differing environments and can learn to work as part of a team and alone. You can improve your problem solving skills, time management and gain experience of a variety of moving and handling techniques and equipment as well getting experience of hospital environments, a caring role and shift work if you have not done it before. I started my career in SCAS as an Emergency Call Taker and I then progressed to Dispatch Assistant. The job is challenging as there are often more calls that require an ambulance than crews. You have therefore to prioritise patients’ needs and make sure you give enough information to the crews. Being on dispatch, you work with one team which means that you build a very good relationship with colleagues. It is very rewarding knowing that you are getting people the help that they need as quick as you can. My career goal is to be a paramedic on the road so I feel this job gives me an insight into the life of a paramedic while gaining a greater understanding and experience of working in a control room. Read ECTs Eli and Sophie’s real life stories below. My name is Eli and I am an Emergency Call Taker for South Central Ambulance Service. I had just finished college when I applied for the job as I have always wanted a job within the ambulance service and thought this would be a great start. As well as taking calls from the public, I also take calls from the Police, Fire, Doctors and other Ambulance services, which means that I get a variety of calls during my shift. The calls I find most challenging are when someone is in a life-threatening condition as it is important I get the information I need and triage promptly to ensure that the appropriate help is arranged for the best outcome for the patient. I enjoy working here as it is very rewarding knowing you have helped someone when they need it! Every day is different and each call is never the same, which means that you don’t know what call is going to come next! It is a great job for anyone who enjoys helping others and wants to gain some experience working in the ambulance service. In the future I would love to be a paramedic and I think this job is a great way of getting experience working in emergency situations and under pressure. I have been an Emergency Call Taker (ECT) for South Central Ambulance Service for almost 3 years now and I can honestly say that I love it! The role as a call taker involves answering 999 calls plus other emergency services and Healthcare Professional calls. The best thing about my job is that two days are never the same. I joined SCAS in the hope of helping to make a difference in someone’s life and I feel throughout my time I have definitely achieved that goal. As a call taker you see both ends of the spectrum; life leaving the world and life being brought into the world. There is no better feeling than being a part of a baby being born; I will always remember the sound of a baby’s first cry. Although the control room can be a hard place to be at times, you are never alone and it is important to remember that. You end up spending so much time with your team they become your second family and your support network. Like most people I didn’t know what I wanted to do when I left school. University was not something that I wanted to do straight away. I was looking for jobs and saw the application for Emergency Call Taker and thought it looked interesting. Since joining SCAS as an Emergency Call Taker I have gone from helping elderly people who have had a fall getting out of bed to delivering babies. Every day the job is different as you never know what is going to be the next call to drop in. Being an ECT is exciting as although you aren’t out on the road being able to see the calls you are the first people that the public turn to when they need help and it is our job to assess each call and get the help arranged for them. Being an ECT is the first step into a career with the ambulance service. Read ECAs Lizzie and William’s real life stories below. Hi, I’m Lizzie and I’m currently an ECA (Emergency Care Assistant) for South Central Ambulance Service (SCAS). My interest in the ambulance service started young as I was keen to buck the family trend of being in the police force. I moved over to SCAS after a couple of years with another trust working in the Non-Emergency Patient Transport Service (NEPTS) department. Training to be ECA with SCAS was a very enjoyable course to do and the instructors are all lovely and will help you with any issues you might have, even after leaving training school. I chose to become an ECA as I have a long-term career goal of becoming a paramedic. 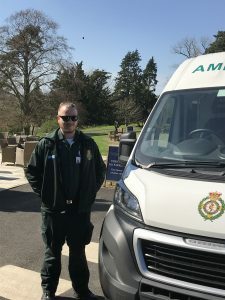 Furthermore I felt that becoming an ECA was the right place for me to start my frontline ambulance career as I can learn from more experienced AAPs (Associate Ambulance Practitioners) and paramedics who are already out on the road. As some television programmes show, you expect it to be all exciting and an adrenaline rush for every job you attend. But it’s not all what the programmes paint it out to be. One minute you could be helping a little old lady who has fallen over and the next you might be assisting someone who has been involved in a serious road traffic collision. You never know what you are going to next which is why I love the job so much. I find the job extremely rewarding knowing that I can do my best to help people in their time of need. Obviously, there are some aspects of the job I find difficult, such as dealing with young children or people with welfare issues but all colleagues and management are very supportive and we all look out for each other. We work a different variety of shifts and sometimes this results in us being away from our family at times such as Christmas, but the feeling you get from helping someone in their time of need can outweigh the feeling of being away from your family. If this is something that interests you, then see the South Central Ambulance Service website or check out NHS Jobs. 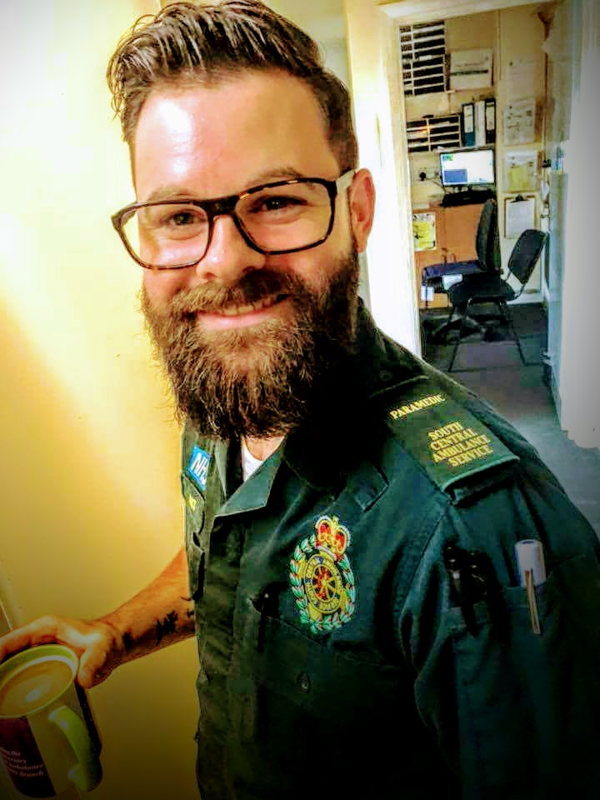 My name is William Gulliford and I have been an Emergency Care Assistant (ECA) at High Wycombe for a year and I love every single minute of it. I became an ECA because I wanted to make a difference and help those in need. I feel proud to be part of the ambulance service and being an ECA is a great role to get an insight into what it is like to be a paramedic, if you want to go down that route. I remember on my first shift I was really nervous but everyone was really helpful and answered any questions I had. The responsibility for an ECA is to support your clinician to the best of your ability as it helps to deliver the best care for the patient. The challenging side of the job comes in various forms such as dealing with long shift hours and emotions from different patients/jobs you attend. As an ECA you are required to complete a portfolio. This is something I had never done before so that was a challenge for me but I had great help from my clinical mentor and other ECAs. I lacked confidence before becoming an ECA but the role has helped me achieve more than I could ever imagine. Also what I love about the job is that everyday is different and you meet some amazing people along the way. I feel proud to be an ECA and can’t wait to see what the future holds for me. Read EMDs Stacie and Emily’s real life stories below. Hello, my name is Stacie. I joined South Central Ambulance Service 3 years ago when I was 18 as an Emergency Call Taker but have since progressed to become a Dispatcher. This role involves covering one of four desks in our control room split into North, East, West and South with a Dispatch Assistant. We work as a team monitoring all the incoming 999 calls and sending out the ambulances and Rapid Response Vehicles (RRV’s) when they are available. We have lots of things to consider, such as the priority of each patient to make sure we go out to the most poorly people first, who’s been waiting the longest and if people are outside. There is also a lot more going on to deal with at the same time, we speak to the crews over the telephone and the radio, work closely with clinicians, call takers and managers, contact other emergency services about jobs and pass pre alert calls to the A&E red phones when the crews are unable to do it. I was inspired to join the Ambulance Service when I was in my previous job. I worked as a Receptionist at a construction company and found myself being bored every day, so I started to look for a job that sounded more exciting and interesting. I found the advert for an Emergency Call Taker online and thought this was the perfect job. After a year of taking 999 calls I wanted to try something new and work alongside the road staff and with a different team. I enjoy this role because every day is different and you never know what type of call is going to come in and what you are going to deal with next. Although this role is not easy and you often have to deal with distressing situations, it is also very rewarding knowing you are part of the team who helped to save somebody’s life. I recently got to meet a eight week old baby and his parents along with the call taker and ambulance crews after we responded to a 999 call from the baby’s mum stating he wasn’t breathing. The call taker quickly gave CPR instructions to the mum until the crew arrived and took over and while the crew were on scene the baby started breathing again. Meeting the baby we all helped to save has been the highlight of my career so far. I am 23 years old and I have worked for SCAS for nearly 5 years. During my career with SCAS I took a 6 month career break to explore other career opportunities available to myself. My time away from SCAS taught me that no other job will compare to the rewarding feeling of being an Emergency Dispatcher. I chose to join SCAS when I was 18 years old as an Emergency Call Taker. 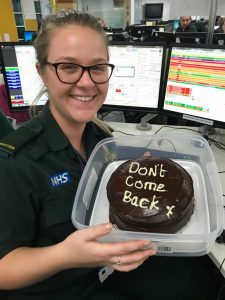 I did not leave school thinking ”I really want to be an Emergency Dispatcher” – I left school completely unsure of what direction I wanted to take in the future. I applied for the job at SCAS because I was so drawn to the idea of working on 999 helping people. Since Joining in 2013 I was able to quickly progress further in my career to Dispatch Assistant after only 1 year as an Emergency Call Taker. A further year later, I became an Emergency Dispatcher. I was inspired to become an Emergency Dispatcher because I thrive off high-pressure situations and there are a huge amount of progression opportunities available. Being an Emergency Dispatcher is a very rewarding job. You’re responsible for ensuring the correct skill sets and correct resources are dispatched to both emergency and non-emergency calls. I have a passion and love for providing the best possible care for each and every patient and looking after the safety and welfare of operational staff. I love that no day is ever the same! 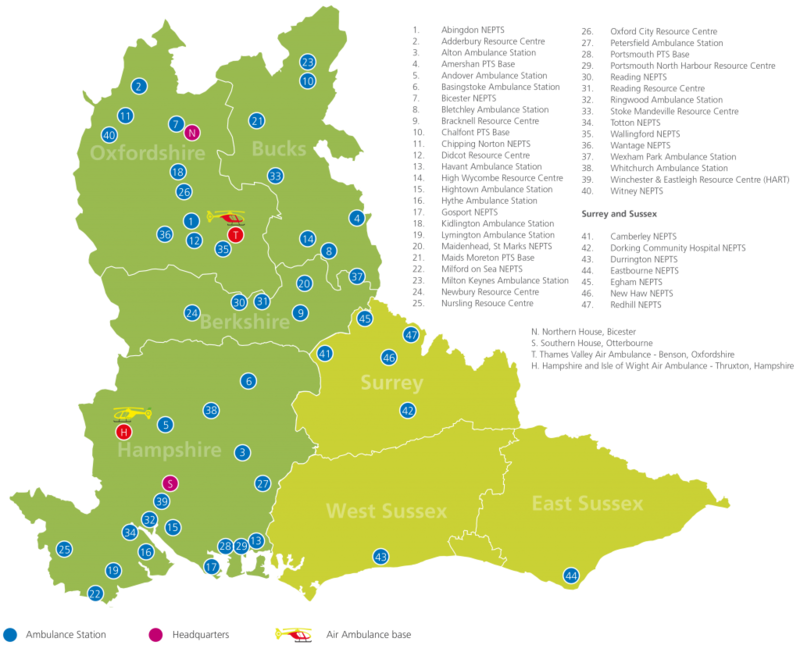 We cover the largest area within the Trust as our patient transport service has taken on the contracts for Sussex and Surrey as well. I first took the role as I wanted to be part of the NHS and in particular of the ambulance service. This was a new start and a new challenge for me. I have always wanted to help people in any way I can and I knew that starting within PTS there would be development opportunities within the Trust so that I could progress further. I very much enjoy my role here within Patient Transport as a call handler because I get to speak to a lot of people that require our help and our service and it is always a good feeling knowing that you are helping towards someone’s recovery. To find out how to apply, go to www.scasjobs.co.uk/assets/downloads/Operations-recruitment-book.pdf. Read Paramedics Helen, Emily and Anthony’s real life stories below. I joined South Central Ambulance Service 5 years ago as an emergency call taker in Bicester. I wanted to do a job where I looked forward to going to work everyday and make a difference in people’s lives. As part of the training, I had to work with an ambulance crew for a day and that was when I knew I wanted to become a paramedic and help patients face to face rather than over the phone. I continued to work in the emergency call centre and a year later started working as a Dispatch assistant. After several months, I applied to study paramedic science at Oxford Brooke’s University; full time for 2 years, as well as applying to become an emergency care assistant (ECA). I was lucky enough to be accepted to university and receive a job offer as a part-time ECA; working out of Didcot Ambulance station. 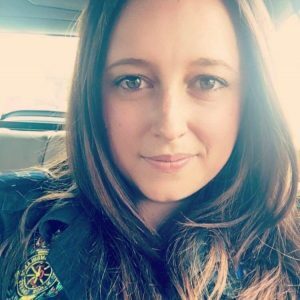 My name is Emily and I am a Paramedic for South Central Ambulance Service working in Buckinghamshire. It wasn’t until I was 18 when I was talking to a friend that I realised I wanted to be a paramedic, however, I had always had an interest in the medical field. I joined my local Community First Responders group and did this for 18 months before being accepted to study an FdSc in Paramedic Emergency Care at Oxford Brookes University in 2014. 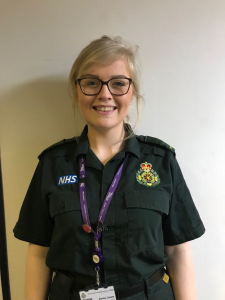 The course was a two year course, although at the end of the second year I was not ready to register as a Paramedic and so completed an extra year of placement in order to get myself to a passing standard. I registered as a Paramedic in 2017 and am now looking to complete a BSc and eventually an MSc in order to progress down a critical care route. Some days are tougher than others but the support I’ve had from my friends and colleagues has always helped through those times. I’ve thoroughly enjoyed both my time as a student and my career as a paramedic so far and look forward to what the future holds. My goal for my career was always to become a paramedic, all my family either have been or are in the service so I have it in my blood. I spent 10 years in the leisure industry working as a lifeguard, to a personal trainer to a manager. I managed to get some useful qualifications within this sector which aided me in applying for my role within the ambulance service. I started my career as an Emergency care Assistant (ECA). This role is non-clinical but still highly rewarding and very satisfying. I undertook a 4-week medical course to learn about the medications I was allowed to give, the equipment we use and how to deal with all kinds of situations. After this I completed my 4-week advanced driving course where I learned how to safely drive at high speed on blue lights. Shortly after this I was assigned my station and started shift work on the front line. As an ECA I was always working with a clinician. I would be expected to be there to assist the clinician in anything they may need. I also attended to patients, gave treatment, used my skills and drove the ambulance. I was an ECA for around a year and a half before I felt ready to progress. 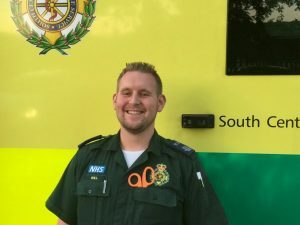 The next step up for me was to become a clinician, I then applied for and was lucky enough to get on to the Associate Ambulance Practitioner (AAP) course. This was an in-house course, very intense and required a lot of hard work, dedication and commitment in order to meet the high standard to pass the final exams. Once I passed my exams I was then a clinician. As an AAP clinician I was able to go out in an ambulance with an ECA and be responsible of all the decisions. My medical knowledge was now also far greater than before and I also gained a new clinical skill set so I could give more medication and do more intervention. I was an AAP for 1 year when I was ready to again progress. I applied for a conversion course to go from an ECA/AAP to a paramedic within a year. The course was at the University of Portsmouth for study blocks, I had to self-study and then had my placements on the road. This was the hardest thing I have ever gone through due to the sheer number of things I had to learn, understand and know. The reward was worth it as I graduated and am now registered so can call myself a paramedic. As a paramedic I attend to patients presenting with a variety of complaints from minor medical problems to major trauma. It is a very fast paced career. My day varies each time I have a shift, which for me is ideal. I love not knowing how my day will pan out, I like the not knowing. I get to drive on blue lights in order to get to incidents as fast as possible and then can treat the patients I see to the highest standards. I can deliver a vast variety of medications and interventions. I would recommend a career within the ambulance service to anybody who is seriously interested in this role. It is very hard work, it is very demanding but very rewarding. I wear my uniform with a huge amount of pride and I am part of a family who all strive to provide the best care and treatment to our patients. The thing I enjoy the most if making a difference to people weather it is giving a medication and making somebody feel better or brining somebody back to life, it is a feeling I cannot explain. 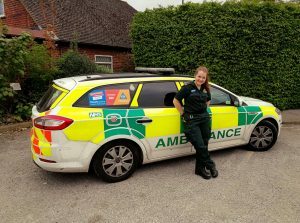 Read Student Paramedics Olivia and Sarah’s real life stories below. 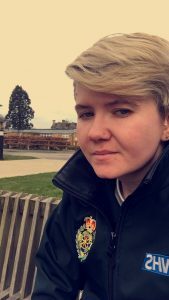 My name is Olivia Parkin and I joined SCAS in early 2017 as a Trainee Associate Ambulance Practitioner (AAP). I completed this course and qualified as an AAP at the end of 2017 and then applied for a post as a Student Paramedic. This course is a Certificate of Higher Education and upon successful completion I will be able to register as a Paramedic. The course is run by the University of Portsmouth in partnership with SCAS and is also open to internal staff already employed by SCAS. I really enjoy my job, everyday there will always be a new challenge. You can always guarantee variety on a day to day basis which is exciting and I learn something new everyday on the job. I have met lots of different patients and so many of them are so grateful for what we do and have no reservations on telling you so. Knowing that I have helped someone is enough to make my day again and again! Like any job, it doesn’t come without challenge. Juggling shift work and your academic work can be difficult but I have been really well supported through my Clinical Mentor, Team Leader, University Lecturers and my colleagues on station. Anytime I have asked for help it has been there with absolutely no hesitation. Once I have (hopefully!) qualified as a Paramedic, in years to come I would love to work my way up in SCAS and support other staff but staying on the front line, either through a role as a Clinical Mentor or Team Leader. 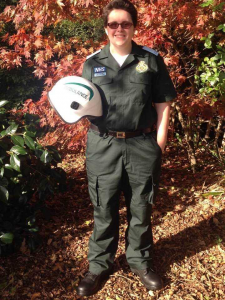 My name is Sarah, I am 19 years old and I am a second year student paramedic at Oxford Brookes University. I became interested in the Paramedic role as I volunteered with St John Ambulance service which allowed me to develop my first aid and clinical skills. In order to apply for university I needed more experience and this was gained by volunteering within a care home and working for a special needs charity. I was also able to gain teaching experience by becoming a Corporal within St John Ambulance and helping with my school to develop a First Aid Training Day. Once I applied for university through UCAS it was a waiting game to see where I would get interviews. Once the interview process was completed it was an even longer wait to see whether I would get the grades I needed in order to accept my place at university. One of the challenges of being a student paramedic is seeing people at their most vulnerable and not always knowing what can be done or actually being able to do anything for them. Also having to break bad news to the family and friends that are with the patient can be difficult as you cannot always tell how they are going to react to the news. The thing I enjoy most about being a student paramedic is meeting new people and finding out about them. Furthermore gaining more clinical understanding and experience have enabled me to develop my scope of practice to become a more competent student paramedic. I have been able to gain more confidence in speaking to people I just met and advancing my skills needed to help and support people. Get more info and roles at www.scasjobs.co.uk.